The fall season is almost upon us, but that doesn’t mean we have to let our summer health and fitness routines fall by the wayside. Didn’t have a summer health and fitness routine? Well, in that case, the fall season is a great time to start one! My husband and I are both at a good weight and are in fairly good health. In my case, I’m in my early 30s (and holding). I’ve still got a lot of energy, and I’m fairly strong for my tiny size, if I do say so myself! But I’m the Skinny Minnie who wants to be Mighty Mouse! Haha! My husband and I are always working on DIY projects, and I hate it when we get to the parts where I can’t help! As for my husband, he’s getting ready to turn the big 4-0. He was actually very sick a few months ago. And although, he’s mostly recovered, he lost a lot of his muscle strength, and he also struggles with neuropathy, which sometimes keeps him down. He’s always been an active person, and he loves working and fixing things, so I definitely want him to get back in shape, so he can do activities he loves! Regardless of your age, size, fitness level, and situation, I believe the right supplements and fitness products are a MUST if you really want to get serious about your health and/or fitness levels! 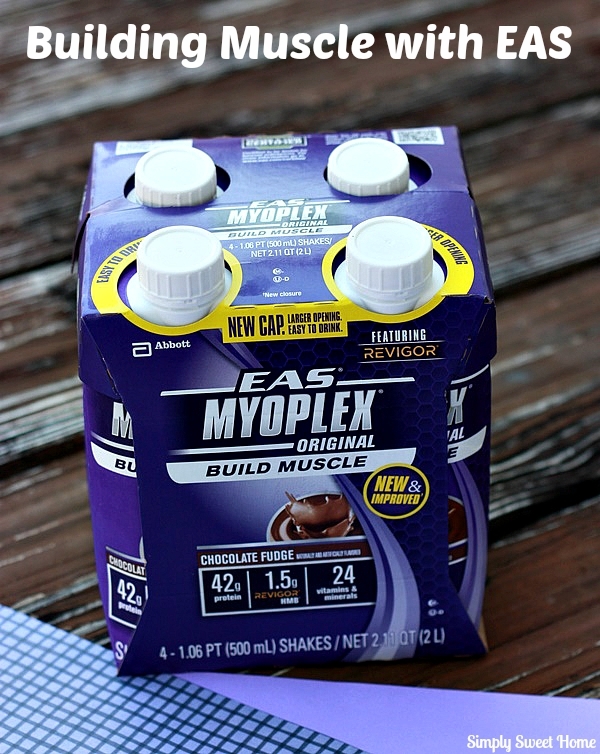 With 42 grams of protein and 24 vitamins and minerals, EAS Myoplex Ready to Drink Shakes are a great choice to help you build muscle and strength. 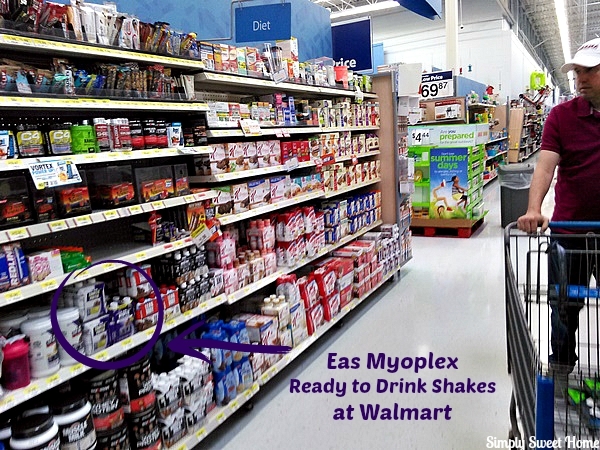 I purchased EAS Myoplex Ready to Drink Shakes at Walmart. They are not in the grocery section but in the healthcare section. 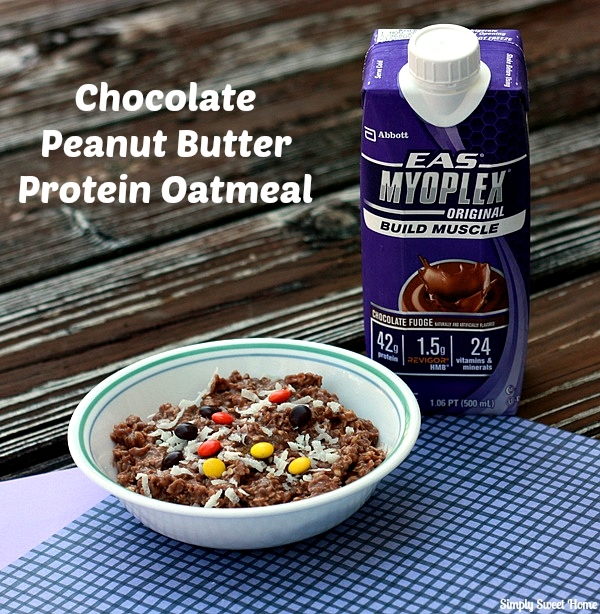 You can find them in the aisle alongside EAS Protein Powder and other protein snacks and special dietary foods. It’s also available online at Walmart.com, and it comes in several great flavors Chocolate Fudge, French Vanilla, Strawberry, Cookies & Cream, and Rich Dark Chocolate. I purchased the shakes in the Chocolate Fudge flavor, and I really enjoyed them. If you’ve tried a lot of “health foods” and especially foods and drinks that known for their protein content, you know that a lot of them have a bitter and even a chalky taste, but this is NOT the case with EAS. It has a very good taste just like regular chocolate milk but without all the sugar. The shakes are great to have for breakfast or as an in between meal. And if you work out or just work hard, the shakes are also a good recovery drink! Personally when I’m in a hurry, I love a good shake and find it to be very filling, but if you want to achieve a little more balance, it’s good to throw in some other foods. 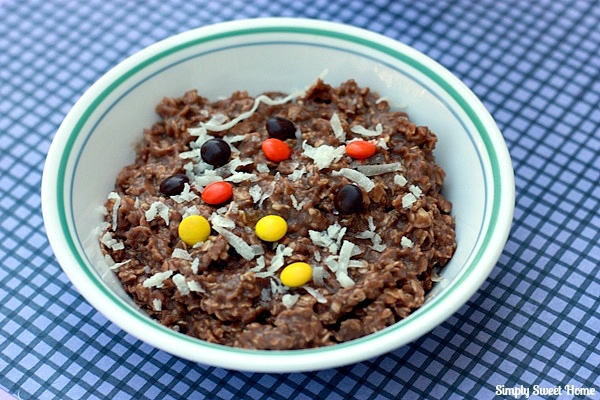 A few days ago, I made a bowl of Chocolate Peanut Butter Protein Oatmeal. The shake and the peanut butter together pack a double protein punch; plus, peanut butter has other great health benefits, and the oatmeal is a heart healthy food, offering you complex carbohydrates to give you energy. Remove from microwave. Be careful, as it should be very hot. Give oatmeal a good stir. Then add peanut butter and stir until well combined. Add optional toppings as suggested above. Do you have any current health or fitness goals? Interested in trying EAS? Which flavor? Please tell us your plans by leaving a comment on this post!